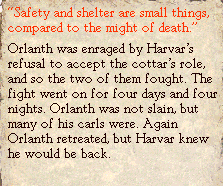 And indeed, Orlanth does come back, this time treating Harvar like a carl. "I have learned my lesson. I will treat you like any other free Orlanthi. I will give you land, and cows. When the clan gains, you will gain, too. Thus, when we go raiding, as I plan to do against the Emperor, you will benefit if we do well. So if you please, provide me with that sword of yours." -"If you fight me again, I will slay you, and you will die forever." -"The slaying of my clan ties cannot be undone. A new arrangement will have to be made." -"Your raid against the emperor is doomed without my help." And it looks like I accidentally lied to whoever asked if there was a "JUST KILL ORLANTH" option in any part of this quest. Oops. 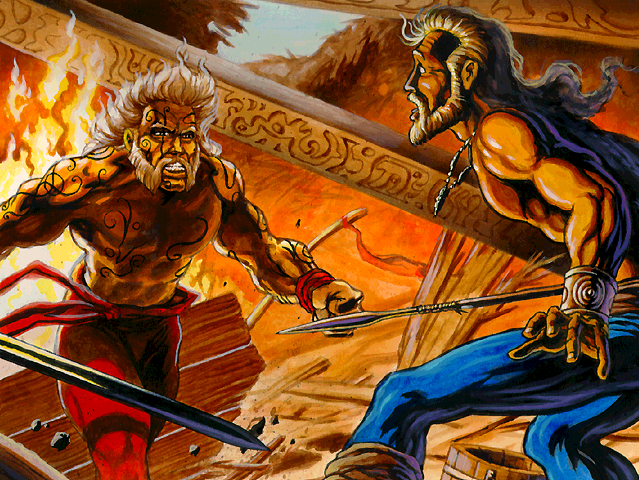 Also, check out that metal album cover event art.